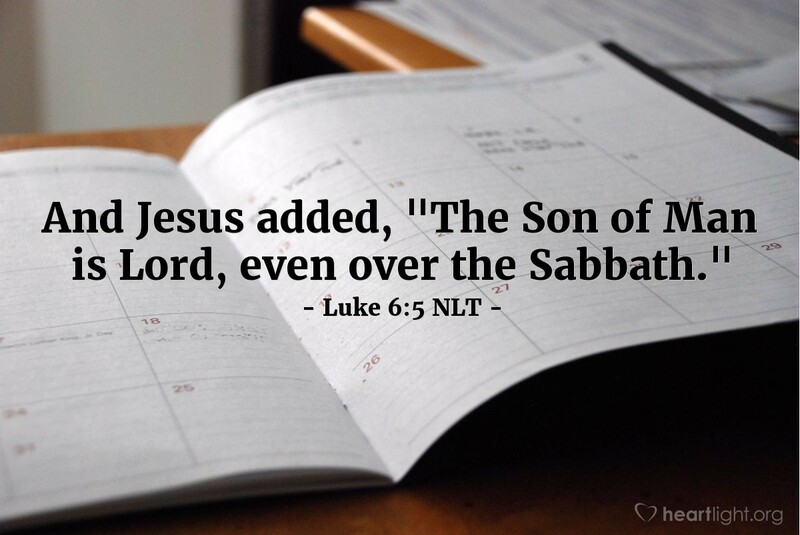 And Jesus added, "The Son of Man is Lord, even over the Sabbath." There were four great attributes of the Jewish faith in Jesus' day: the Temple in Jerusalem, circumcision of all Jewish males, “keeping kosher” with dietary/health restrictions, and keeping the Sabbath. There is no way to emphasize how radical Jesus' statement would have sounded in the ears of those who heard it, especially those who hated him. He was declaring himself more important than the Sabbath. If they had missed any of Jesus' other assertions about himself, they surely couldn't miss this one. He was confronting them with a choice — believe me and follow me totally, or reject me and go back to your old dying religion. That message is equally as powerful for us today. So much of what passes as Christianity is just modern culture with a religious good luck charm attached. Christianity, by its very nature, is counter-cultural living that reflects the character of Jesus. Jesus calls us beyond mere church going and superficial church stuff to a lifestyle that shows he is our Lord. Righteous Father, make me passionately Christian, your child whose life reflects the character, compassion, and mission of your Son. In Jesus' name, I pray. Amen.